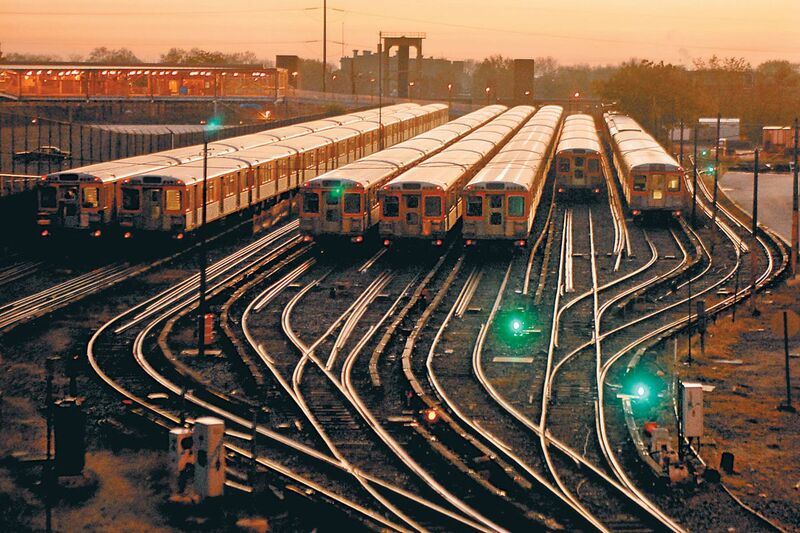 Two companies will join SEPTA to capture power generated by braking subway trains. The firms will install battery systems at SEPTA electrical substations to capture and store the power. SEPTA and two energy services firms announced Thursday they had teamed up to expand the first-of-its-kind battery storage system that captures power from braking trains on the city's two subway systems. Constellation Energy Resources, a Baltimore subsidiary of Exelon Corp., will pay for and install battery systems at seven SEPTA electrical substations on the transit system, which will capture and store power produced from the subway's regenerative brakes. Viridity Energy, a Philadelphia firm, will bid the stored power into the regional energy grid, which pays a fee to suppliers that can instantly match generation with demand to maintain the desired electrical frequency on the network. The lithium-ion battery systems can store up to 8.75 megawatts of power, bringing SEPTA's total battery storage capacity to more than 10 MW. In a 2012 pilot project, SEPTA installed two battery systems on the Market-Frankford Line that were financed by grants from the federal government and the Pennsylvania Energy Development Authority. SEPTA wanted the project to be off-budget, involving no out-of-pocket costs, said Erik Johanson, the agency's director of innovation. The transit agency does not pay for any stored power consumed by its trains. Under the 20-year agreement, Johanson said, Constellation pays for the project with revenue from selling the power into the regional grid managed by PJM Interconnection. After a threshold is met, SEPTA and Constellation will split the fees from PJM's frequency regulation market. Constellation did not disclose the cost of the project, but Johanson said the transit agency estimated its cost at $12 million to $14 million, based upon a benchmark of about $1.25 million per megawatt of battery capacity. "SEPTA's sustainability program is all about finding and deploying cutting-edge innovations to reduce costs in addition to improving environmental performance," SEPTA General Manager Jeffrey D. Knueppel said. The braking systems on SEPTA's subway cars generate power as the trains slow. The power is transmitted back into the electrical system, available for any nearby trains to use. Any excess power that cannot be immediately consumed by another train is dissipated as waste heat. The stationary battery systems, which capture the excess power, will be installed in 2016 at substations that are largely out of the public's view. The batteries can also provide backup power to SEPTA's subway system during a power outage. The project is the second recent partnership between Constellation and SEPTA. Constellation last year agreed to an $18.2 million project to retrofit five SEPTA facilities and railcar fleets with energy-efficient lighting and technology. SEPTA will receive $26 million in guaranteed savings over 17 years.